Nate Peliter, an ex-convict and his associate, Benny, discuss young Ellen Stevenson, who, known to few, is actually Nate's secret daughter. Benny notes that he has found that Helen wishes to marry Henry Miller, a young man who comes from royalty, but Ellen's father, Herbert Stevenson, plans to halt the wedding by telling the truth about Ellen's true father. At this news, Peliter seems ready to take the matter into his own hands. At the Stevenson home, Mr. Stevenson expresses his displeasure to Ellen at the prospect of marrying Henry. Her father will not tell her why he is against the marriage, but warns Ellen that if necessary he will do whatever is necessary to stop the wedding. At a London hotel, Peliter is seen stalking a hallway. At the same time, Charlie Chan and Number One Son, Barry, arrive at the hotel and check in. Suddenly, a gunshot is heard. To the pleasure of the bellhop, Chan hurries off to investigate. Arriving at the scene, Chan finds Ellen with a gun in her hand standing over the prone body of her father who hangs onto life. As Chan sends Barry to Scotland Yard with the gun and a note, Peliter walks over to join the small crowd of onlookers. In her father's hotel room, Ellen is questioned by Inspector Parker. Wilma Stevenson, expressing her displeasure at vigorous questioning of her daughter, is dismayed to learn of the quarrel she was engaged in with her father. Ellen explains about her father's mysterious displeasure regarding her planned marriage to Henry. Mrs. Stevenson cannot understand why her husband would be against the marriage and, when Chan poses the possibility of the problem being Ellen, Mrs. Stevenson angrily states that her daughter is good enough to marry anybody. She also states that she wants to see her husband in the hospital, but the Inspector will not allow that as the doctors insist on his having no visitors. Lisa Blanchard, Henry Stevenson's law partner arrives and, representing Mrs. Stevenson, insists that the Inspector allow Mrs. Stevenson to see her husband and that he cease his questioning of both mother and daughter. As the gun is brought to the Inspector, Ellen insists that she had picked it up after finding her father in the hotel elevator. As the inspector is about to take Ellen off to Scotland Yard, Lisa notes that Herbert had expected a visitor – Nate Peliter - that evening. Chan, it turns out, had known of Peliter, a racketeer in America whose arrest and deportation years before was, in great part, due to Chan's efforts. Suddenly, Peliter enters the room, stating that he had been listening to the proceedings from outside in the hall. He tells everyone that Ellen is innocent of the shooting of her father – it was he who shot Stevenson. Peliter states that Stevenson, who had worked out a deal for the commutation of his prison sentence, was blackmailing him regarding evidence that could send him back to prison. As Peliter is taken away, Lisa, exhibiting a passionate regard for Herbert Stevenson, insists that he could never have stooped to a low practice such as blackmail. Acknowledging Lisa's infatuation with her husband, Mrs. Stevenson again expresses her desire to see her husband, but Chan, as did the Inspector, discourages her from seeking to do so. In the hallway, Barry informs his father that the gun used to shoot Mr. Stevenson was not licensed in England. As Chan meets later with Inspector Parker who celebrates the quick apparent closure of the case, Chan shows him a cablegram he has just received from New York which states that the gun used to shoot Stevenson was licensed there to Lisa Blanchard. When Inspector Parker and Chan visit Miss Blanchard, she admits that the gun is hers and that someone must have stolen it from her home. While she denies ever having known Peliter, Miss Blanchard states that both Ellen and her parents have visited her. The next day, Chan visits Mrs. Stevenson. She again asks Chan if it would be possible for her to visit her husband at the hospital. Chan reveals to her his knowledge that Ellen is not the Stevenson's biological daughter and that Nate Politer is her father. According to Chan, Peliter is not the one who shot Mr. Stevenson. Mrs. Stevenson shares her belief that Peliter shot her husband because he was going to reveal to Ellen the identity of her true father. Again Mrs. Stevenson asks for Chan to help her see her husband as when he awakens he might be able to tell her who shot him. Chan agrees to try to help her as he has the same thought in mind. Back at his hotel room, Chan asks the Inspector to allow Mrs. Stevenson to see her husband. That night at Queen’s Hospital, Mrs. Stevenson is shown into her husband's room by a nurse. Alone, she notes Mr. Stevenson, his face totally bandaged, appears to be coming to. Suddenly, she grabs a pillow, attempting to smother Stevenson. Chan bolts into the room and stops her as Barry, having posed as Stevenson, removes the bandage from his face. Chan reveals that Mrs. Stevenson had tried to kill her husband out of jealousy toward Miss Blanchard. Mr. Stevenson was about to leave her for the younger woman and she could not bear that possibility. She had stolen Lisa Blanchard's gun to make it appear that she had shot Stevenson. However, when that failed, she tried to direct suspicion toward Peliter. Inspector Parker informs Mrs. Stevenson that he is arresting her for murder as her husband never regained consciousness. Later, Barry and Chan let Peliter know that things are going well with his daughter and her fiancé Henry. The doorbell sounds and as Peliter opens the door he is surprised to find Ellen and Frank. Ellen reveals that Chan has told her everything and that she has come to introduce her father to his new son-in-law. A happy Charlie Chan tells Peliter, "Twenty years ago it was my unfortunate duty to prove you guilty of a crime. Today it has been my great pleasure to bring you happiness." Bellhop (to Desk Manager, as Charlie Chan arrives at the hotel): "It's Charlie Chan!" Bellhop (to Charlie Chan): "Excuse me for asking, but, are you in London on business – to do some detecting?" Charlie Chan (to Bellhop): "No, but on most important business in civilized man's life – pleasure." Lisa Blanchard (to Inspector Parker): "Who is this man?" 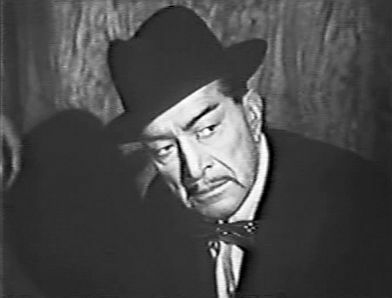 Charlie Chan (to Lisa Blanchard): "Humble retired detective named Charlie Chan." Lisa Blanchard (to Charlie Chan): "I’m sorry, Mr. Chan, I didn't realize." 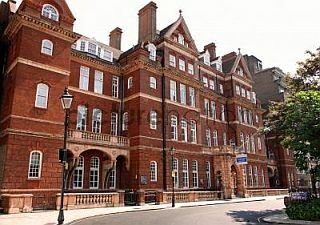 Queen’s Hospital - Located on Queen Square in the Bloomsbury area of Central London, the hospital was founded in 1859. It was originally called The National Hospital for Diseases of the Nervous System including Paralysis and Epilepsy and later the National Hospital for Nervous Diseases. This was the first hospital to be established in England which focused on the treatment of diseases of the nervous system. Remember old saying about inadvisability of hanging dog merely because he has bad name. I have considered the sight of a loved one most beneficial to sick persons. I find logic far more useful in crime detection than magic. It's said, "Hell has no fury like a woman scorned." In my country is very nice saying that beautiful woman becomes thousand fold more beautiful when she wears jewel of kindness.